Founded in Santa Cruz in 2008, owners and winemakers Alex Krause and John Locke draw on a combined 35 years of making and selling wine in California and Alsace, Publia, Piemonte and beyond. 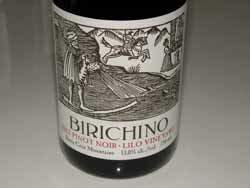 The name, pronounced "biri-kino," is Italian meaning naughty or mischievous. Their first Pinot Noir is a 2011 Saint Georges Pinot Noir from the Central Coast sourced from the southern Santa Cruz Mountains (under $20). Their flagship wines are Malvasia Bianca and Grenache. The winery was originally launched to make Malvasia, but their UK importer begged for a red wine and they branched out into working with 104-year-old Grenache. Then only days before harvest in 2011, they were offered the chance to work with the 25-year-old Saint Georges Pinot Noir Vineyard owned by the Bessons who grew the Grenache. Most of the Pinot Noir had and still does go to Calera. The Saint Georges Vineyard is located on the eastern side of the Santa Cruz Mountains and is named after the father and son, George Besson Jr. and Sr., whose families have lived on the property since the 1920s tending the vines. 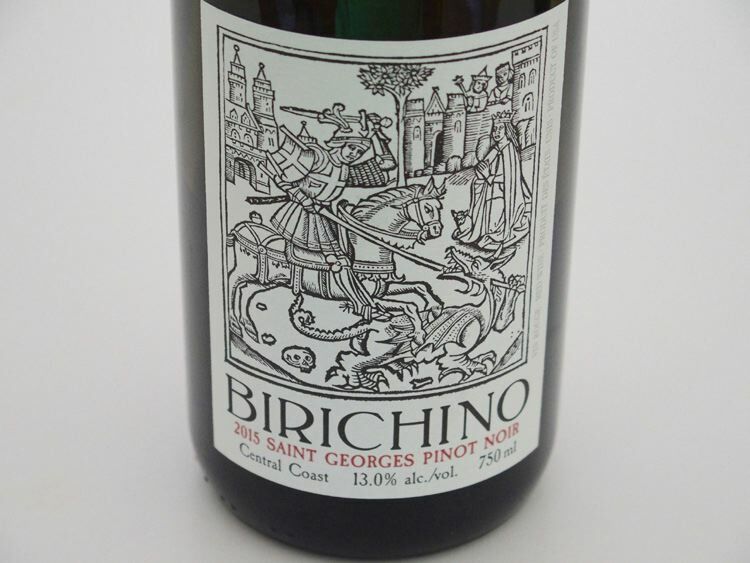 The 2013 Saint Georges Vineyard Pinot Noir has a fair amount of 5 to 6-year-old grapes from Lilo Vineyard in it for the first time and a little Pinot Noir from a limestone and rocky shale site where the 25-year-old Malvesia is planted on the Santa Lucia Highlands side of Monterey County. Another Pinot Noir is produced from the Lilo Vineyard which is about twelve years old and located in a much cooler steep site planted in slate, sandstone and schist at the fog line at 600 to 800 feet. 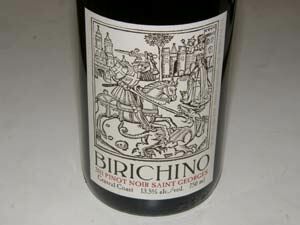 A Cinsault was added in 2012 from Bechthold Vineyard first planted in 1886. A Jurassic Park Chenin Blanc is sourced from old vines dating to the early 20th century located in Santa Ynez. The winemaking features native ferments, neutral barrels and avoidance of fining and filtration when possible.